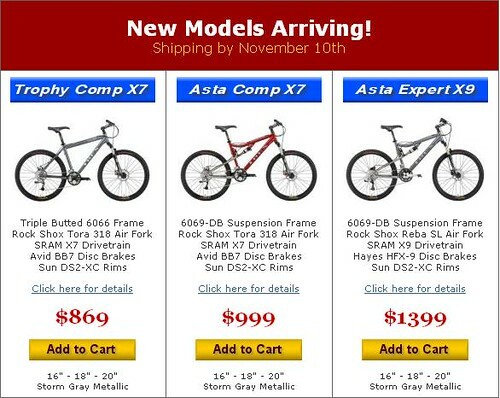 Check out all the bikes Ibex has to offer! IBEX MRSP’s (published on detail pages for each model) are an accurate reflection of what our bikes would sell for in your local LBS (local bike shop) if we sold through dealers. 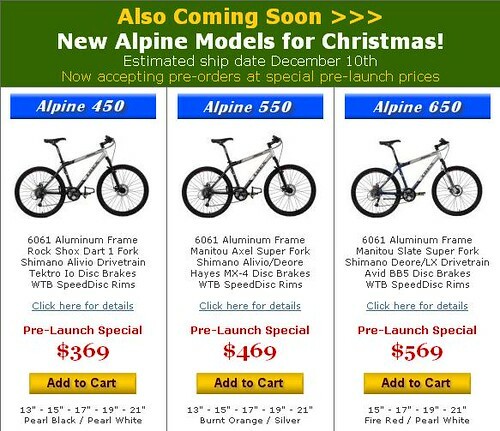 However, by selling direct to the consumer, we eliminate much of the excess found in most bike prices and pass the savings on to you! Our Direct prices are far below market value! I’ve come to notice that you guys usually review only “big” tradicional bikes. I suppose that’s got to do with the characteristics os the areas you live in (more disperse and with poor mass transit options). I was wondering if you know anyone that uses folding bikes to commute, namely to complement on the public transportation systems. There’s lots of manufactureres and brands (Birdy, Dahon, Brompton, Bike Friday, iXi, Mobiky, Strida, AirMinimal, etc), have you tried any? Ana: check out Moe’s review of the Xootr Swift. I used to ride a Dahon folder, but it was a full size. Not good for taking on public transportation. If you’re looking for one that folds up to a very compact size, go with the Brompton. More expensive, but worth the money. And what’s this with us living in disperse areas with poor mass transit? I live in Queens and work in Manhattan! Of course, I despise public transportation and use my bike to get around almost all the time. In my opinion, there is no easy way to take a bike on the subway during rush hour, at least not in New York, where most government and transit offices hold bikes in the same regard as knives and spray paint.